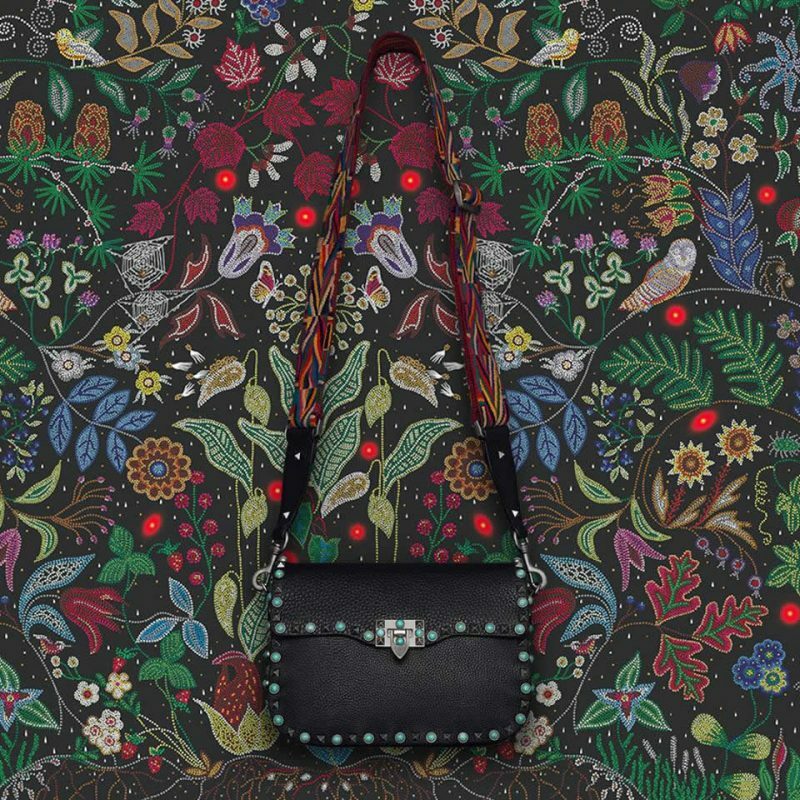 Valentino is gearing up to rock the upcoming warm weather with the latest spring 2016 accessories collection. The Rockstud Rolling collection reinterprets Valentino’s contemporary classics with a new verve for intense and eye-catching opulence. Valentino’s Rockstud Rolling bag is decked up with antique silver studs, turquoise stones and features an embroidered removable guitar strap. Valentino Garavani Rockstud Rolling cross body bag seduces with its rock n’roll style in the most luxurious Valentino way. 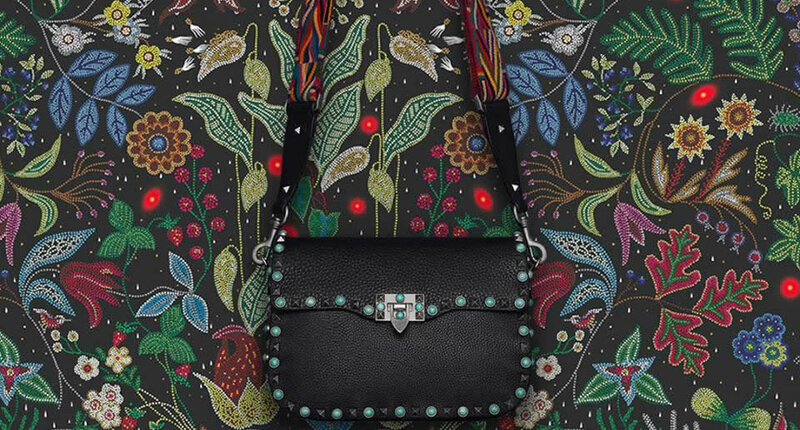 Crafted from black Stampa Alce calfskin, it can be strapped across the body with a colorful, detachable, cotton shoulder strap with a Native Couture 1975 embroidery. Ideally sized to hold basic essentials, grab the Rockstud Rolling for $3,995 and sport your rocking style on the street with ease. 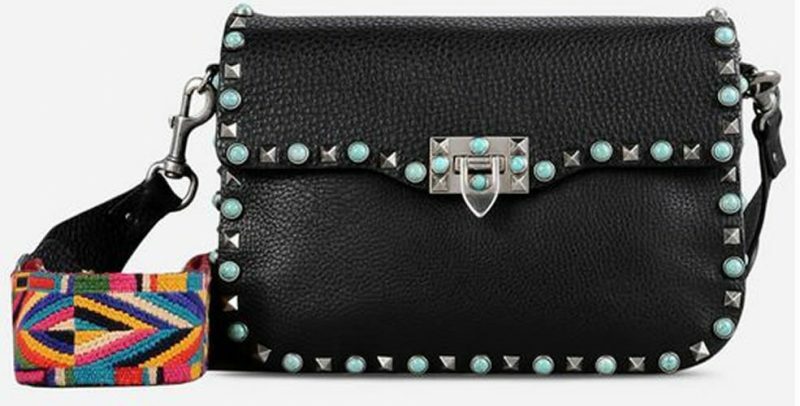 The Rockstud Rolling collection also includes cowboy boots and a fringed leather clutch.